Johnny Carino’s in Yukon is inspired by authentic Italian cuisine as well as delicious, homemade food for an affordable price in a comfortable atmosphere. Their hand-rolled meatballs, 16-layer lasagna and made from scratch tiramisu are just a few of the dishes that will have you coming back again and again. 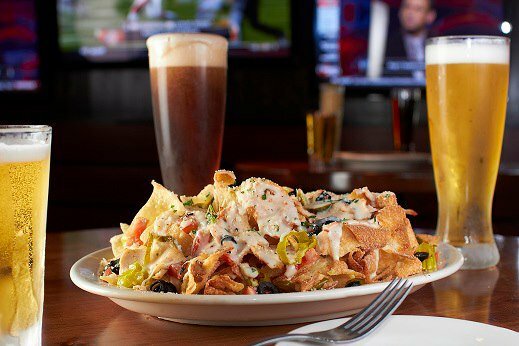 Johnny Carino’s appetizers are the best way to begin your dining experience. The mozzarella sticks with marinara and hand-breaded calamari are classic dishes expertly made by their cooks. Your meal will start off right when you order the baked stuff mushrooms or Italian nachos on crispy pasta chips to experience a different side of Italian food. Their pizzas and grilled paninis are perfect for lunch, but there are certain dishes that can only be found at Johnny Carino’s. Their spicy shrimp and chicken is a regulars’ favorite as well as the grilled chicken bowtie festival topped with bacon in a creamy asiago sauce. Order the angel hair with artichokes for a fresh, lighter dish that packs a lot of flavor. Their spaghetti and meatballs, homemade baked lasagna, chicken parmigiana and fettuccine alfredo are a taste of classic Italian at its best. Seafood dishes such as lobster ravioli and the ability to make your own pasta assure there is something for everyone at Johnny Carino’s. Top off you meal with some decadent lemon cream cake or homemade tiramisu.